An immaculately presented 3 bedroom mid terraced house, built in 2016 by Bovis Homes, with 2 allocated parking spaces and a private landscaped garden. The property is situated in a quiet position, within easy access of major transport links, excellent schools and shops. The accommodation comprises: entrance hallway, cloakroom, sitting/dining room with double doors onto the private garden and a kitchen fitted with an attractive range of units with integrated appliances. 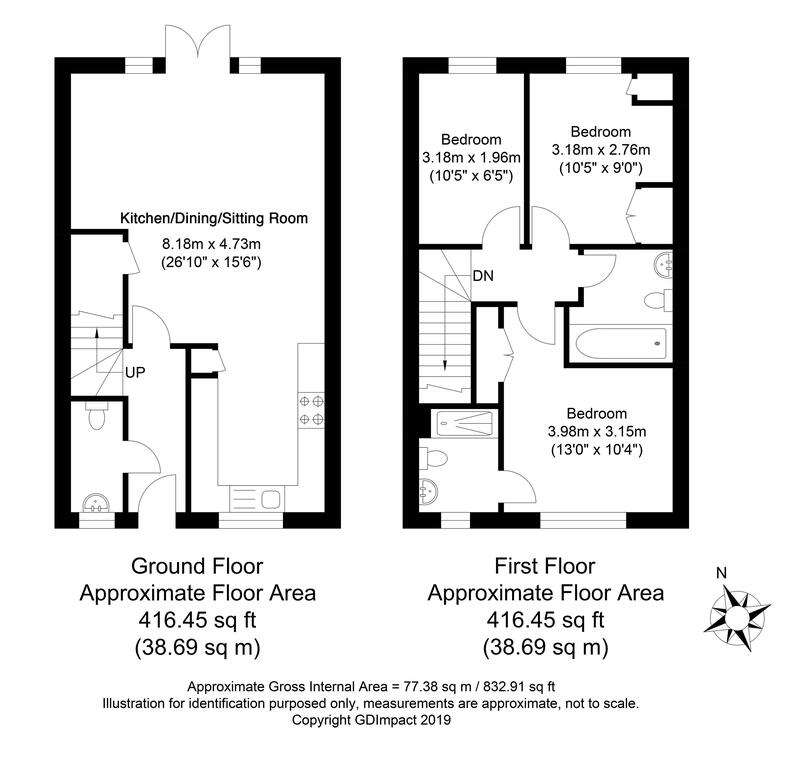 There is a master bedroom with en suite shower room, 2 further good sized bedrooms and a family bathroom. Benefits include double glazed windows, gas fired central heating to radiators, remainder of 10 year NHBC guarantee, Amtico flooring and fibre-optic broadband. There are 2 allocated parking spaces to the front of the property. The 34' x 13' rear garden has been landscaped by the current owners with an artificial lawn, borders and a patio. There is a shed and rear access. The property is situated in a quiet position, within easy access of major transport links, excellent schools and shops. This would be ideal if you are looking for a modern family home with 2 allocated parking spaces and a private landscaped garden.